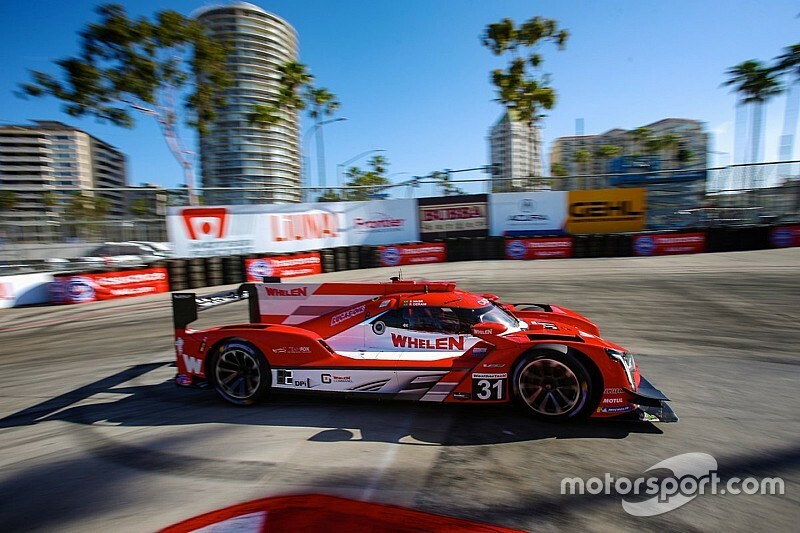 Action Express Racing Cadillac driver Felipe Nasr set the pace in opening practice for this weekend's Long Beach IMSA WeatherTech SportsCar Championship round, narrowly edging both Team Penske-run Acuras. Nasr, who is skipping this weekend's Rome Formula E round to race at Long Beach, set his best lap of 1m12.794s with just seven minutes to run in the two-hour session, establishing a new unofficial IMSA track record around the 1.968-mile street course in the process. The Brazilian driver had been at the head of the times when the first of two stoppages was caused by Misha Goikhberg's JDC-Miller Cadillac DPi.V-R hitting the wall at Turn 4, after 50 minutes of running. Almost as soon as the session had resumed, the sister JDC-Miller Caddy of Simon Trummer went off at Turn 1, bringing the red flags out again, and action resumed with just under 50 minutes remaining. Dane Cameron moved the #6 Acura ARX-05 to the top of the times shortly afterwards, becoming the first driver to dip into the 1m12s, before Nasr's teammate in the Sebring 12 Hours-winning #31 Cadillac, Pipo Derani, and then the #7 Acura of Ricky Taylor enjoyed spells out front. Joao Barbosa briefly put the #5 AXR Cadillac ahead with just over 20 minutes to go, before Taylor and Cameron's teammate Juan Pablo Montoya temporarily made it an Acura 1-2 with a pair of fast laps. 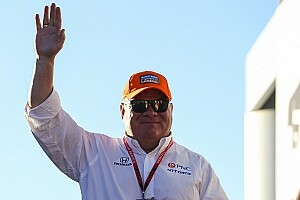 After Nasr's last-ditch flyer, Taylor was left 0.141s off the pace in second in the car he shares with Helio Castroneves, with Montoya and Cameron a further 0.034s behind. 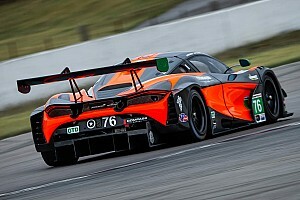 Barbosa had to be content with fourth, ahead of Colin Braun in the CORE autosport Nissan DPi and Jonathan Bomarito in the best of the Mazda RT-24Ps. Seventh-fastest was the Rolex 24 winning-Wayne Taylor Racing Cadillac shared by Renger van der Zande and Jordan Taylor, who is recovering from an emergency appendectomy. Taylor completed just an installation lap at the start of the session but took the wheel for the final 15 minutes or so, working down to a best time of 1m12.973s - 0.579s off the pace of Nasr. Kamui Kobayashi, who raced alongside van der Zande and Taylor - as well as Fernando Alonso - in Daytona, is in Long Beach on standby in case Taylor is unable to race. 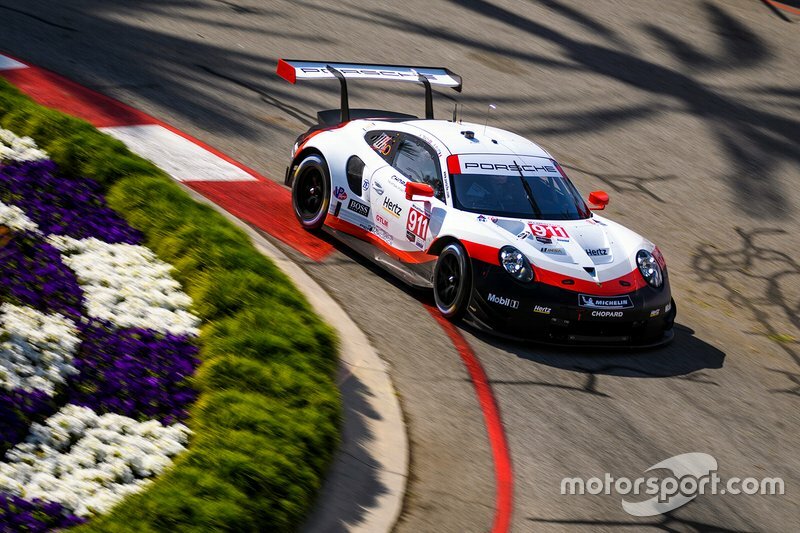 Porsche led the way in the GT Le Mans division, with Nick Tandy leaving it late to post a best time of 1m17.758s in the #911 911 RSR - deposing Earl Bamber's sister car by 0.244s. Oliver Gavin put the best of the Corvette C7.Rs in third, a further three tenths back, closely followed by Jesse Krohn in the leading BMW M8 GTE and the second Corvette of Antonio Garcia. 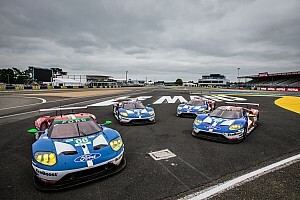 The two Chip Ganassi Racing-run Ford GTs were sixth and seventh-fastest, ahead of the second BMW, which brought up the rear of the 19-car field.